There are times in life when the elements align themselves just right, and the blood sweat and tears of someone creating their dream shines through the end product in such a way that one can’t help but be moved. That is what happened this past weekend in a beautifully autumn colored town in middle-of-nowhere Connecticut. This was the 5th year for Iceland Affair, an all day festival consisting of daytime lectures, Icelandic horses, goats, falcons, A lot of Icelandic food, and coffee mugs, let’s not forget the coffee mugs. All of this followed by an Icelandic concert at the very homey and cozy Infinity hall in Norfolk, CT.
Gerri Griswald is the lady behind Iceland affair, and once you’ve come within 50 feet of her, you can’t help but get swept up with her charming personality, glacier-sized determination and outpouring of love to everyone and everything that helps her put this on year over year. Speaking with her can’t be done without 90% of what’s audible being laughs. And the sincere love she has for what she’s doing is beyond impressive. Arriving at the festival I was greeted by people riding Icelandic horses, Lopopeysas (Icelandic sweaters) and other Icelandic merchandise for sale out on the front lawn. Downstairs from the lectures there were free pylsurs (Icelandic hotdogs), dried fish, and very tasty cakes. Upstairs from the dining hall, and merch tables was the lecture hall. Unfortunately due to scheduling and life, I arrived at the festival later in the afternoon, and was only able to hear the last half of Dr. Gunni’s lecture on the history of pop music. 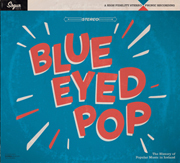 Along with other tidbits of Music life in Iceland, Dr. Gunni’s presentation followed his book, Blue Eyed pop, with audio/visual aids and a Q&A with the audience directly afterwards. A browse around the merchandise, fantastic cake, and a few pylsurs later and off to the concert I went. The concert was at the Infinity hall in Norfolk, CT. It’s a cozy ornamental building, and the concert hall’s warm woodwork really played into what would be a cozy, intimate gathering. On their way to their seats, the crowd was given Icelandic flags, and told to wave it during applause as a surprise to the musicians on stage. I’ve spoken about the ability Icelanders have of including the crowd in their performance. And Agnes Erna, Snorri Helgason, Svavar Knútur, Lay Low, Myrra Rós, Kristjana Stefánsdóttir, and Bjorn Thoroddsen. fulfilled and exceeded any expectations in that regard as they chatted, joked with, and shared laughs with everyone on or off the stage. 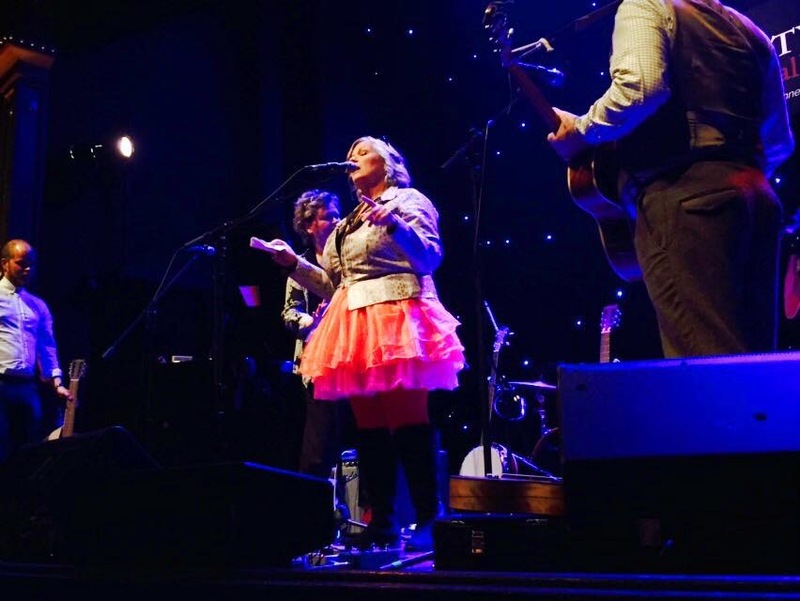 It was a collaborative effort as the musicians took turns at front stage while being supported by the others, all ending with Dr. Gunni’s fart song and a special two-toned tutu wearing host belting out an old classic with the rest of the band. I also should mention that drums were mostly handled by Myrra’s husband Júlíus, I unfortunately did not catch his last name. 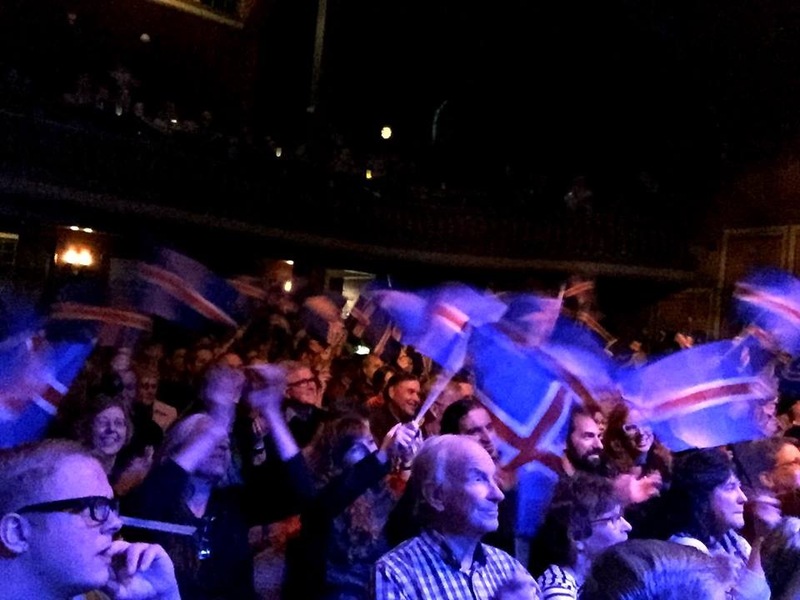 By the end of the concert, the crowd was completely on their feet singing loudly and waving flags furiously, and it seemed that neither the musicians nor the audience wanted it to end, so the party headed downstairs where the musicians talked with and autographed Icelandic flags for people. the lingering about and business of the downstairs made it evident, nobody was in a hurry to leave. Plans are in the works for next years event, and I would highly suggest you check it out by following the Iceland Affair facebook page throughout the year. She tends to post videos or updates on the bands that have played, as well as updates on the festival itself. I have to say that I am glad me and my label got to do our small part to help out on this festival, it’s truly a labor of love for Gerri, and the quality, attitude, and atmosphere created a charming night I won’t soon forget. I’m already looking forward to seeing what she comes up with for next year. This entry was posted in Uncategorized and tagged agnes erna, bjorn thoroddson, connecticut, festival, iceland affair, icelandic, infinity hall, kristjana stefansdottir, Lay Low, Music, myrra ros, norfolk, Snorri Helgason, svavar knutur, winchester center on October 24, 2014 by ragnaarbastiaan.